If cost-cutting is the main motivation for eliminating your landline, you might be disappointed by the savings. Many telecommunication companies now offer package deals (also known as bundles) that make it far more affordable to sign up for phone, Internet and TV rather than just one or two out of three. Is it really worth the hassle of going without a landline if you are only going to save a few dollars, or nothing at all, each month? Definitely review your options and take a look at the cost breakdowns before making a final decision, especially if you live in the northeast, where bundled services, according to GfK MRI, are particularly popular. Emergencies happen...and you have spotty cell phone service. With a landline at your disposal, you can call 911 confident that your call will go through. What’s more, the dispatcher can automatically pinpoint your location, meaning help can be sent even if the caller is unable to give an address. This is especially critical in households with young children, older adults, or people with serious medical conditions or injuries. "I can't hear you...hello? Are you there?" Even the most reliable phones and cell services drop calls or cut out. And it doesn’t matter whether the interrupted call is business related or just a gab session with a friend — it's equally annoying. Landlines, on the other hand, offer a much more reliable connection. Your home security system is already connected to your landline. Dropping your landline may mean revamping your home security set-up, which may not be a low-cost proposition. Instead of modifying, or in some cases, replacing your system, it may be easier on the budget to continue with the landline, even if its main gig is simply home security. A landline can offer peace of mind, which is hard to price. Cell phones, especially smart phones, provide lots of conveniences, but there is comfort in knowing that a good old-fashioned landline is there for you, whether your cell phone is or not. If you misplace or damage your cell phone, you can fall back on your landline. If severe weather causes a power outage (preventing you from keeping your phone charged), you can fall back on your landline. If your local cell tower fails for some mysterious reason ... you get the point. Your landline is your insurance policy. Your caregiver isn't answering the phone while watching your children. No need to worry about whether the caregiver's cell phone is charged — you can use the landline if you need to reach them (and vice versa). Speaking of kids, a landline is great teaching tool. 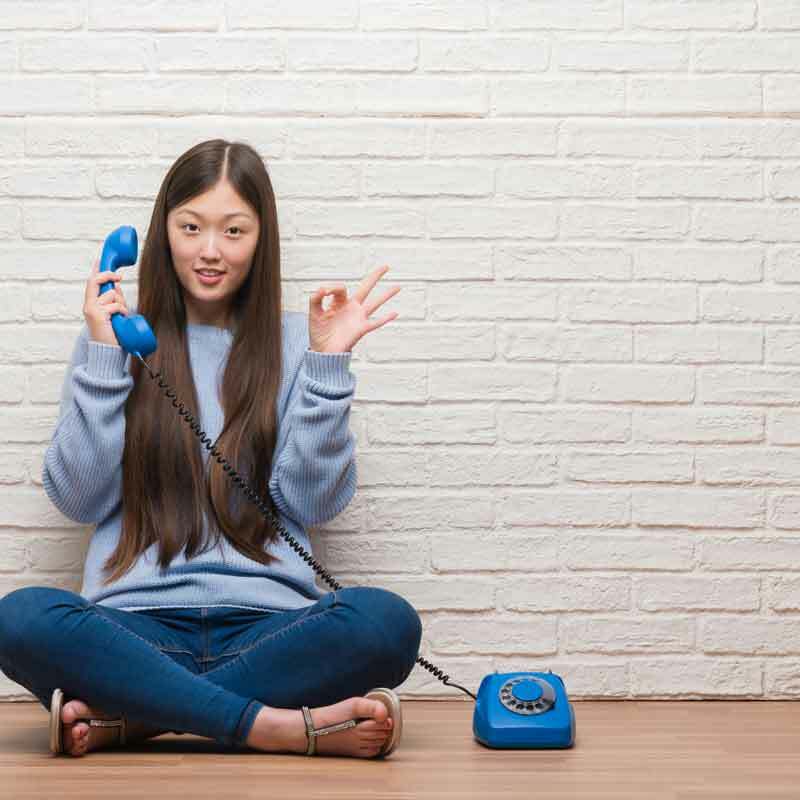 Children — especially those who are too young for their own cell phones — can use landlines to learn how to make and politely answer calls, without all the temptations that come with borrowing your smartphone with all of its games, music, and videos. What’s more, they can give the landline number to their friends instead of giving them your cell phone number. Have you been thinking about dropping your landline? Or have you decided that the extra cost of a landline is worth it to you, even if you carry a cell phone? Let us know in the comments below.